High Court of Gujarat has been Published Recruitment Notification for Below Mentioned Post 2017. Other Details Like Age Limit, Educational Qualification, Selection Process, Application Fees and How to Apply are given below. 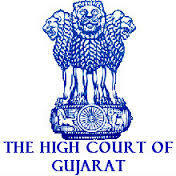 High Court of Gujarat Recruitment for English Stenographer & Gujarati Stenographer Post 2017. Educational Qualification: Graduate in any discipline from a recognized University or any equivalent qualification recognized by the Government. Speed in English Short Hand 120 w.p.m or Gujarati Short Hand 90 w.p.m. Selection Process: Selection will be based on Computer Based (Online) Examination, Main Written Examination, and Viva Voce Test. Application Fee: Candidates are required to pay Rs.500/- (Rs.250/- for SC/ST/EBC/PH Candidates) through Cash Voucher at any SBI branches. How to Apply: Interested candidates may Apply online through the website http://hc-ojas.guj.nic.in/ from 01.08.2017 to 15.08.2017 till 23.59 PM, thereafter website link will be disabled.